Happy Monday guys! How many of you all braved the crowds to check out Beauty & the Beast this past weekend? I sure did! We got there an hour early and were first in line. Such a beautiful movie, I cried like a baby. Please don't miss this one in theaters! Anyways, I bought a tri thermal duo a while back from Contrary Polish. I have one of those to show you today, I haven't swatched the other yet but I'm tired of sitting on these pics and not showing it off! The duo includes 2 tri thermal polishes called Changeling and Mercurial, the one I'll be showing you today. 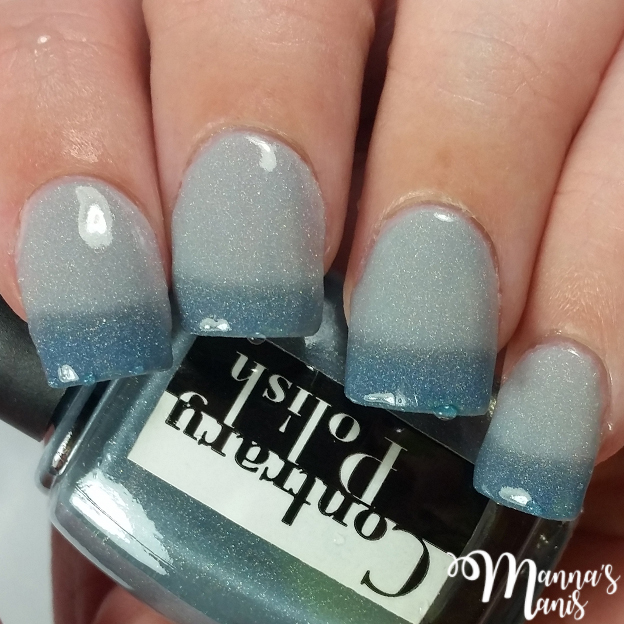 They were created as customs for the Facebook group Holy Shift - Thermal Nail Polish Lovers. Tri thermal...whaaaat is that sorcery you ask? Well, most thermals transition from hot to cold, but tri thermals have 3 colors, hot, cold, and warm! 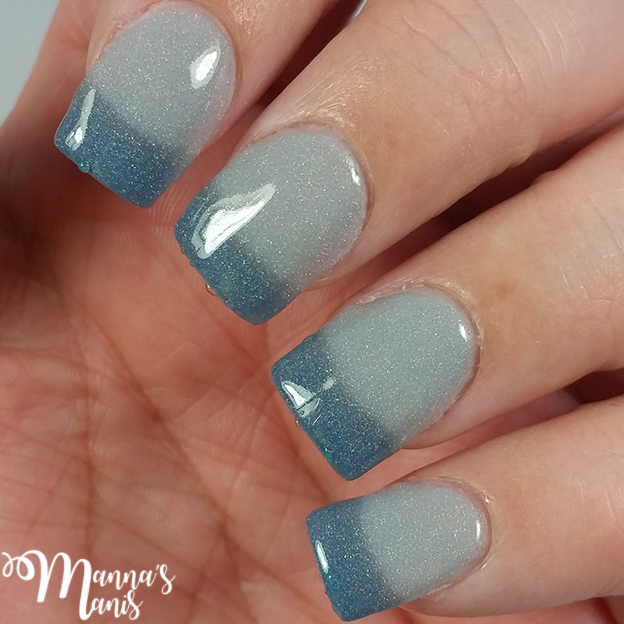 This beauty is light grey when hot, a darker grey when warm, and a beautiful bluish teal when cold. Unfortunately, my body runs hot, so this polish stayed a light grey for me unless I washed my hands or went outside in the cold. I did have to use ice cold water to get a transition to show for the pics, as evidenced by the water droplets on my nails and hands! I'm also debuting a new watermark today! What do you all think? Is it too much? I get bored so easily and change my watermark all the time, I really need to just stick to one! 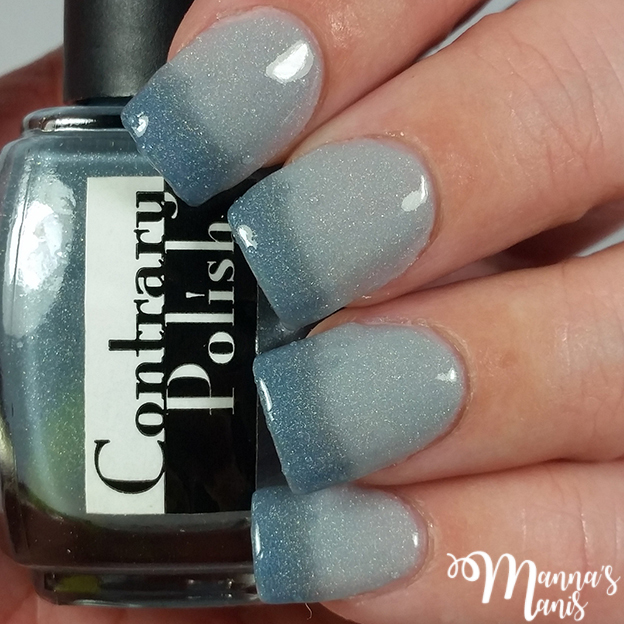 If you'd like to check out Contrary Polish, you can shop HERE, check out Instagram and Facebook while you're at it! 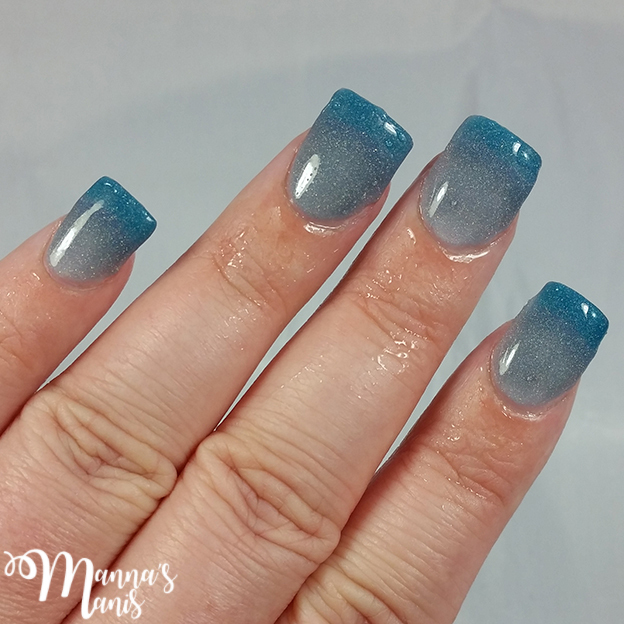 Do you like thermal nail polish?